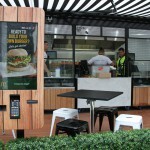 Australia, 26 June2015: Multi Channel Network (MCN) is today launching an activation for the new ‘made to order’ McDonald’s product Create Your TasteTM devised in partnership with OMD FUSE. The experiential campaign will see the new offering taken out of the restaurant and onto the road, with a fully customised food truck experience. 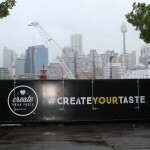 The activation allows customers to design their own fresh gourmet burgers from a Create Your TasteTM branded food truck, turned pop-up restaurant, which will be touring the country with executions at a range of high profile events. The campaign kicks off today at the OZ Comic-Con Pop Culture event, at the Melbourne Convention Centre. These experiential activations will be amplified across MCN's TV and digital platforms to maximise reach and engagement in Create Your TasteTM. “We have created a platform which allows the brand to engage with fans on social media and to encourage them to share their food creations. Ultimately, we are connecting McDonald’s directly with their desired audience, and through the strength of MCN’s offering, showcasing their new messaging and positioning,” she said. Customers can share their personalized burger creation with the hashtag #createyourtaste. OMD Fuse Communications Director, Aaron Miller, said: “When we started this project we identified early on that MCN was the ideal partner to help us deliver this campaign. Their experience in large scale integrated campaigns and wide reaching audience base, are just some of the reasons why our partnership with MCN on this project really works. The activation will be rolled out across eight national events up until December and is proposed to continue into the New Year. Australia, Friday 5 June 2014: Multi Channel Network (MCN) today announced Holden, Schwarzkopf, Samsung and Oral B as the new partners for Season 2 of the much anticipated Australian made series, Fashion Bloggers on E! furthering NBCUniversal’s commitment to produce high quality local content. The new partnerships see some of Australia’s biggest lifestyle brands work with the show’s talent to produce multi-screen campaigns across broadcast, social and digital. Given the program is centred on Australia’s biggest social influencers in the fashion and beauty world, the campaigns will also run across social media channels, leveraging the bloggers’ large digital and social channels. MCN National Director of Multiply Integration and Content Partnerships, Elizabeth Minogue, said: “These partnerships demonstrate the power of social influence and how it can act as a launch pad for brands to grow their social footprint. Influencers provide inspiration to savvy audiences, and Fashion Bloggers reaches this highly fashion conscious consumer, allowing brands to create content and conversations around trends in beauty and fashion. Holden’s collaboration with Oracle Fox’s Amanda Shadforth will help promote the launch of the new Holden Cascada, whilst Schwarzkopf’s partnership with Zanita Whittington will amplify her current Schwarzkopf ambassadorship after Season 1. Viewers will see Samsung ambassador Nadia Fairfax showcase the all-new Samsung GS6 within the program. In addition to the in-show partners, Oral B has signed a broadcast partnership. Their campaign for Oral B 3D White will feature Sara Donaldson and includes a series of content pieces to be played in and around the show’s airtime to further extend Oral B’s content partnership with her. NBCUniversal International Networks is one of the world’s premier entertainment portfolios, delivering quality content and compelling brands to over 176 territories across Europe, the Middle East, Africa, Latin America and Asia Pacific. The channel brands in the portfolio include Universal Channel, Syfy, E! Entertainment Television, 13th Street, DIVA, Studio Universal, Telemundo, The Style Network and Golf Channel. These unique brands deliver a full range of entertainment experiences to local audiences across the globe; the portfolio also includes Movies 24 in the UK. Further, NBCUniversal News Group, one of the most influential and respected portfolios of on-air and digital news properties in the world, operate CNBC and NBC News internationally. NBCUniversal International Networks is a division of NBCUniversal, one of the world’s leading media and entertainment companies in the development, production, and marketing of entertainment, news, and information to a global audience. NBCUniversal owns and operates a valuable portfolio of news and entertainment television networks, a premier motion picture company, significant television production operations, a leading television stations group, world-renowned theme parks, and a suite of leading Internet-based businesses. NBCUniversal is a subsidiary of Comcast Corporation. 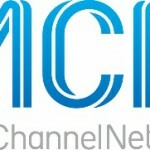 Australia, Friday, 12 June 2015: Multi Channel Network (MCN), in partnership with technology provider AOL platforms, has launched MCN Programmatic TV which allows media agencies to buy broadcast linear TV inventory through a private exchange. MCN Programmatic TV allows advertisers to trade against the most highly targeted consumer segments in television. Agencies can buy broadcast linear TV inventory like they would web-based video, for all MCN channels including FOX8, FOX SPORTS, The Lifestyle Channel, Sky News, Cartoon Network, Discovery, UKTV, E!, NatGeo, MTV, plus many other leading STV brands. It’s a culmination of a five-year and $30 million investment from MCN. The platform also allows buyers to plan, buy and report against a number of consumer segments from MCN’s audience panel, Multiview, which combines detailed viewing patterns from 110,000 homes with actual consumer and purchase behaviour insights. MCN CEO Anthony Fitzgerald said this shift is a significant departure in traditional TV trading and the results seen since turning the platform live is a clear indication of what the market can expect in future years. “The last four weeks of results have demonstrated a profound shift in the Australian TV trading industry,” he said. “Advertisers are now able to purchase highly targeted television audiences, rather than be limited by fixed spot placement trading. The programmatic private exchange is powered by one of the worlds most sophisticated trading platforms, LandMark, and has been in operation since May 1, 2015. Four agencies have used the platform so far including Dentsu Aegis and OMD. AOL� Platforms enables the world's top marketers and media brands to reach consumers across desktop, mobile, tablet and TVs with impact through premium experiences, programmatic buying and performance driven campaigns. It is a global partner of choice for leading publishers, advertisers and agencies seeking to maximize the value of their brands online. For more information about� AOL� Platforms, please visit� www.aolplatforms.com. Australia, 16 June 2015: The ACS – the Professional Association for Australia’s ICT Sector, in partnership with Deloitte Access Economics, today launched a new report, Australia’s Digital Pulse, which shows that digital technologies is one of the fastest growing parts of Australia’s economy. It found its economic contribution grew in the past three years to a 5.1% share of our GDP – from $50 billion in 2011 to $79 billion in 2013-14. The report found there has been 5% growth in the number of ICT professionals, with an increase to 600,000 ICT workers in 2014, and demand for a further 100,000 workers over the next six years. Despite the demand, the number of graduates with ICT qualifications has declined significantly since the early 2000s. The report shows that Australia needs a workforce that is equipped with the ICT skills necessary to fuel its digitally-driven economic growth. This creates an enormous opportunity for students considering a career in ICT. The report also found that, despite the influence of digital technologies on the next generation’s future career opportunities, Australian schools are well behind in the use of digital technologies within an education setting. Currently only 3% of Year 6 students frequently use ICT in schools for technical tasks. ACS CEO Andrew Johnson added “An ICT career represents an outstanding job opportunity for graduates in the coming decade – students, parents and careers advisors should pay attention to this fact. · � Employment in the ICT sector is expected to grow by 2.5% per year over the next six years to 2020. Compared to employment for the economy as a whole, which is forecast to grow by 1.6%. · � The gender pay gap in ICT stands at 20%, significantly lower than the workforce average of 34%. · � 47% of all workers who studied ICT are now in other professions, such as advertising, marketing or accounting. · � 52% of ICT workers are in industries outside ICT itself including professional services, public administration and financial services. · � The highest growth rate in demand for ICT qualifications is forecast for postgraduates, with demand forecast to grow at 4.2% annually over the six years to 2020. Productivity growth in the Australian economy will be increasingly driven by digital technology in the future, particularly as the mining boom wanes. The rapidly growing digital economy means that ICT skills will play an increasingly important role in future economic growth. Australia needs to ensure that its education system, policy settings and business practices are all working towards equipping the country’s workers with the required technological skills. This will ensure that the Australian workforce is well-placed to meet the future challenges associated with digital disruption. The report found that to address the major projected skills gap, it needs a multifaceted solution with government, businesses and education institutions and industry associations all playing a role. · � Businesses provide opportunities for employees to develop their ICT skills through on the job training, workshops, upskilling courses and other business development initiatives. The ACS and Deloitte Access Economics is launching the report, with the Hon Malcolm Turnbull MP, at an event at the National Press Club, on Tuesday 16 June at 5.30pm, with an open Q&A to discuss the findings. The ACS is the professional association for Australia's Information and Communication Technology (ICT) sector. Over 20,000 ACS members work in business, education, government and the community. The ACS exists to create the environment and provide the opportunities for members and partners to succeed. The ACS strives for ICT professionals to be recognised as drivers of innovation in our society, relevant across all sectors, and to promote the formulation of effective policies on ICT and related matters. Visit www.acs.org.au for more information.